Soler Romero is a family business with a long tradition in olive oil. We produce, bottle and distribute organic extra virgin olive oil, exclusively made in our own farm and mill, located in Alcaudete, in the province of Jaen. Our family remains actively involved in all operations in the farm, from cultivation to commercialization. We are one of only a few fully organic olive farms with total traceability in Spain: The organic extra virgin olive oil SOLER ROMERO is solely made of our olives groves, Olives are pressed in our mill and the oil is also bottled on location. Our family has owned the estate, Cortijo El Tobazo, since 1850 and it has been in our family for 6 generations. 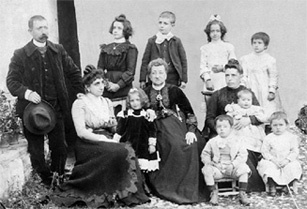 The first plot was originally bought by the family matriarch, Casilda, in the mid 1800s. She allowed the shepherds to graze their flocks on her land with the condition that they planted olive trees as they tended their sheep. Almost all our olive trees are over 100 years old and were planted by the shepherds almost 200 years ago. 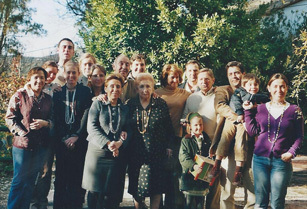 Isabel, Enrique, Manuel and Ana with their mother Mrs. Isabel Soler Romero and future generations. In the past, we were member of a cooperative, which produced olive oil, milling our olives along with the rest of olives harvested by the other 1400 members. Aware of the existing limits in mass production, in 2001 we decided to bet on our own production and on quality and we built a mill, conveniently located in the middle of the estate and next to the family centenarian Country Estate. A mill that only processes the olives cultivated in our own estate. This way, in SOLER ROMERO we can control quality all along the process, not only in the cultivation and harvest, but also in the elaboration, packaging and distribution. Since then, our aim is to create the world´s finest extra virgin olive oil, and doing it using environmental-friendly techniques. We knew how hard is to find a good olive oil in supermarkets, especially abroad, and we knew we could achieve one of the best organic olive oils in the world and share it with people all over the world. We have the passion about olive oil inherited from generation to generation and our estate has the ideal size and location. It is limited enough to be able to control quality and practice organic farming in the whole estate, and big enough to have a convenient production capacity to distribute efficiently and professionally. Once we find the right partners for distributing the entire production, we will have reached our dream, and perhaps will start to think of a new one, always related with highest quality food, environment and health. After having been using sustainable farming practices for over 30 years, in 2002 we obtained the certificate of the Andalusia Committee Association of Organic Agriculture (CAAE) which controls and certifies our cultivation systems according to the European ecological agriculture standards (EC 834/2007). In 2003 we were the first Spanish Producer of Olive Oil to obtain the USDA Organic seal of USA. We later obtained the Japanese JAS organic certificate. And lastly, since harvest 2010-11 our organic olive oil is certified by Chinese organic standards, being the first mill in Spain to obtain this certificate. With a product present in the market since 10 years ago, you can now find our organic extra virgin olive oil in best delicatessen and organic stores and in supermarkets all over the world, as in US, Japan, Taiwan, Korea, China, Russia and most European countries. Some of our customers, keen of our olive oil, started to demand us to select other nice Spanish organic products to complement our olive oil. This is why we are carefully selecting delicious products, as vinegars, table olives, olives tapenade, preserved vegetables and jams and marmalades.